A "slab leak" is basically caused when a water line that is located in or under a concrete slab ruptures and leaks. It's a simple definition but the work to repair a slab leak can be quite extensive. Yes - slab leaks can be a pricey project to repair BUT it will definitely cost you more if you ignore it simply because the excess saturation caused by the leak can cause serious damage to the foundation of your home or building. Yes, in older neighborhoods and business buildings, slab leaks are quite common. The majority of the reason that they occur is due to the age of the water lines as they deteriorate over time. So, it makes sense that they occur most often in more established areas. Because slab leaks ARE common - there's no need to panic. 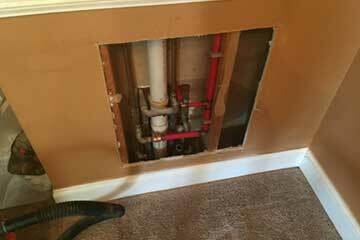 Professional plumbers are very experienced in dealing with this problem and today, the repair process is not as daunting as it used to be. 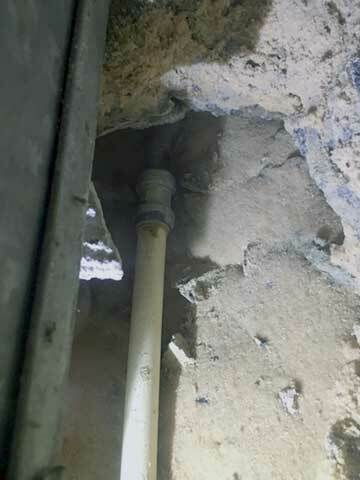 Before trenchless pipe replacements - plumbers would have to jackhammer their way through the concrete slab to get to the leaky pipes in order to repair them. This is obviously a very time consuming and expensive method. Thank goodness that today - the use of trenchless pipe repair technique saves time and money and a whole lot of headache! The technique of trenchless repiping has been around for at least 15 years. Using the trenchless method is an excellent way to avoid massive digging in your yard and you may sometimes be able to avoid digging through a driveway or concrete slab. Note that not all Plumbing companies offer trenchless repair - it requires specific equipment and training but Atlantis Plumbing has been doing trenchless repiping in the Atlanta, Georgia area for years and our plumbers are very experienced in trenchless technologies. Slab leaks can be a serious problem but it's not an impossible problem to repair. It's certainly a problem that must be taken care of right away. If you suspect that you have a pipe leak in your foundation or under a concrete patio slab or driveway - call the plumbing pros at Atlantis Plumbing today at 770-505-8570.